So, I’m doing Inktober this year! But with witches because I thought it would be more up my alley! This means that I’ll be posting daily! I might also post a page with a gallery just for fun and to make it easier to find all the new works and if you should happen to miss a day or two. 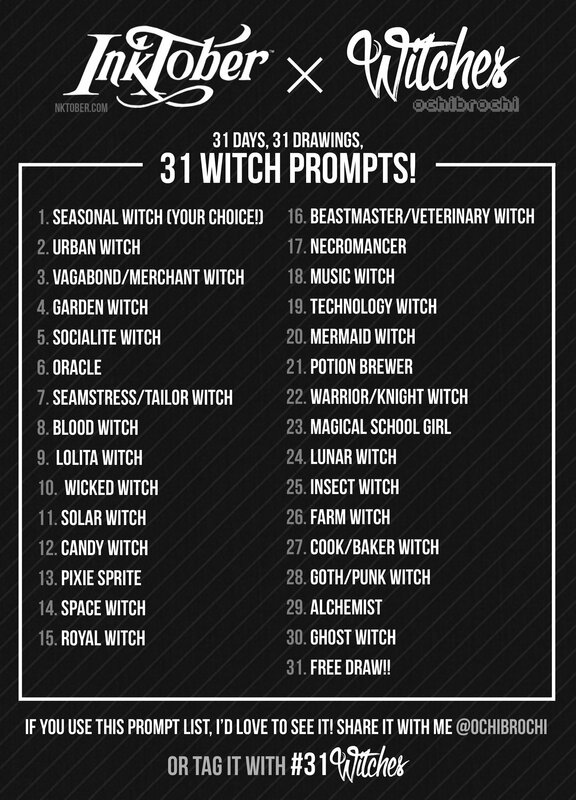 For those of you who would like to know what to expect, or are also interested in doing #31Witches, here are the prompts! Hope you’re all having a magical (haha) day! Looking forward to tomorrow!